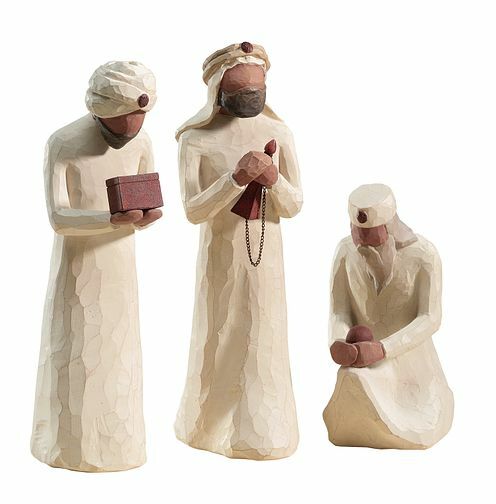 A beautiful depiction of the Three Wise Men from Willow Tree. A truly memorable gift for someone special or a wonderful addition to your own collection. Willow Tree Three Wise Men Figurine Set is rated 5.0 out of 5 by 42. Rated 5 out of 5 by Anonymous from Beautifully crafted I love the Willow Tree figures, I brought these for my mums collection and they are beautiful. Rated 5 out of 5 by Anonymous from Great value I have bought 2sets, one for each of my daughters as they have admired mine. I am sure they will be thrilled to add them to their Mary and Joseph figures.